Do you know if you have a problem with the clutch on your car? • Slipping- lack of power particularly when going up hills or under load, engine appears to rev up when pulling away. • Juddering – Juddering from car when pulling away in 1st gear. 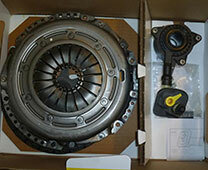 • Failure or hydraulic leak of clutch release bearing. Why not come in and JTT Autotech will carry out a free inspection for you.